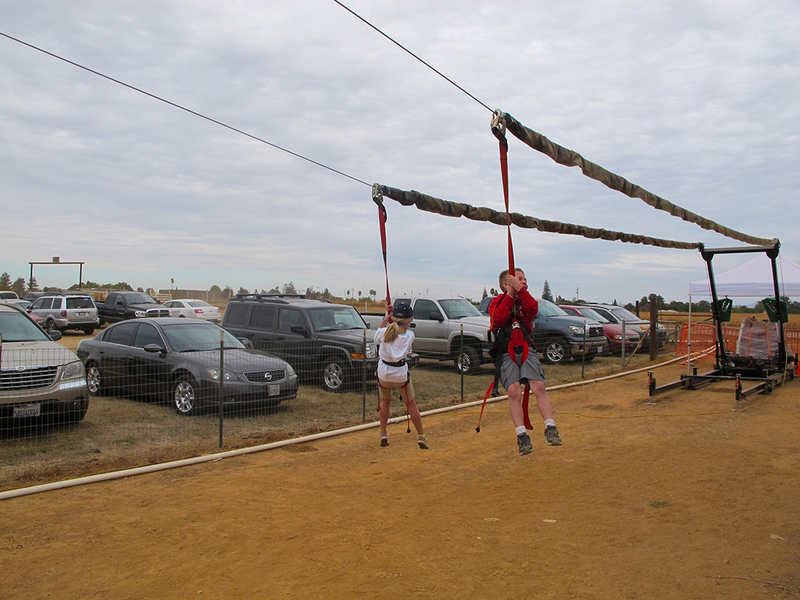 Sacramento, CA (June 17th, 2014) – Bishop’s Pumpkin Farm in Wheatland, CA is adding the award winning Fly Wire™, a mobile zipline, to one of America’s finest pumpkin farms. The award winning mobile zipline, winner of Best Major Theme Park Ride, will be located in the heart of the pumpkin farm, offering thrill seekers the sensation of flying serious speeds over farm animals and pumpkin patches. Austin Bishop, a manager of Bishop’s Pumpkin farm, is excited to add a major thrill-ride to their current amenities, catering to the next generation of attendees to the farm. 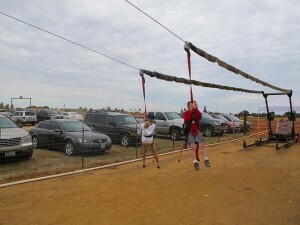 “A mobile zipline is just one of major attractions Bishop’s will be adding to the pumpkin farm. The farm already sees thousands of people per day and major thrill-rides will give the older crowds a reason to play,” states Philip Wilson, executive vice president of marketing with Extreme Engineering. Families of all ages not only attend their favorite fall destination, Bishop’s Pumpkin Farm, but experience ziplining in a unique farm setting. “The view is going to be great! You can look down at the farm animals, smell the great food cooking and spot out the prefect pumpkin you want to take home for Halloween,” laughs Wilson. Bishop’s Pumpkin Farm sits on 40 acres with over 80 years of history. Visitors can see a real working farm providing world-class pies, pumpkins, corn mazes, BBQ food, kid rides, petting zoos, a mobile zipline and more! 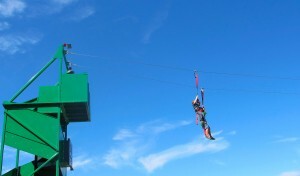 Extreme Engineering is the world’s largest supplier in patented mobile ziplines, and portable ziplines. 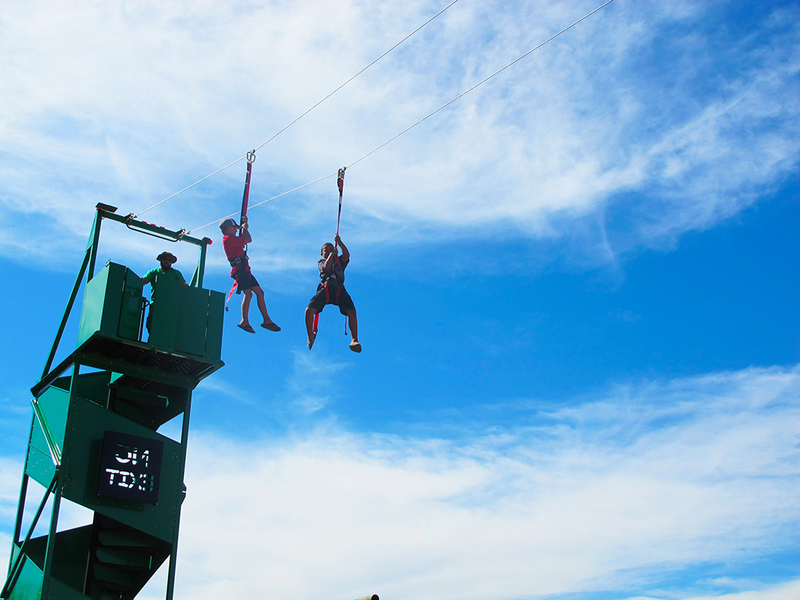 The award winning mobile zipline provides thrill seekers the ultimate rush of zip-lining across the sky up to 300 feet – the length of a football field. 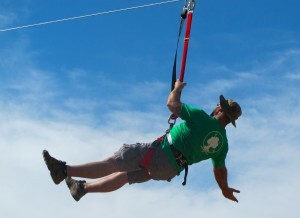 With speeds reaching up to 21 MPH, the Fly Wire™ is the only portable zipline of its kind using the safest decelerator on the market, the Decelinator™, which is a proprietary device that fully lowers zip-liners safely to the ground so riders can soar through the air with confidence. The farm which is now Bishop’s was the Wild Rose Dairy in the first half of the 20th century. Bill and Sandy were attracted to the old barns and the large poplar trees lining the road, and purchased 40 acres and the farmstead. Bill leased more acreage and planted corn, alfalfa and beans, but Sandy had other ideas. In 1973, she planted about an acre of pumpkins in a small field in front of the house and invited the local schools to come out on field trips. Sandy had been a teacher and she knew how much kids could learn from visiting a real farm. The pumpkins would just be an excuse to get the kids out. The field trips proved popular, and Bill and Sandy soon learned that many of the kids wanted to bring their families back on the weekends. More and bigger pumpkins were planted the following year, and word was also getting around about the pumpkin pies that Sandy was baking in her kitchen. An old farm wagon was put into service for hayrides, and the kids’ ponies were saddled and tied to a tree for self-service pony rides. By this time, Bill and Sandy’s sons Bruce and Wayne were 9 and 8 years-old, and were put into service driving the hayrides and pulling the jumbo pumpkins out of the field.